Welcome April! The days are getting longer and warmer, and it seems there are new sights, sounds and smells with every new day. Birds are singing, flowers and trees are starting to bloom, and farmers are plowing their fields, getting them ready to sow the seeds that will provide nourishment for both humans and animals throughout the year. This month we celebrate Easter on April, 21, and Earth Day on April 22. April is also my birthday month, and I am so happy to share my birthday with my loyal friends and family and my dedicated staff! Thank you all for your continued friendship and support throughout the years! yours and that of the Earth! Earth Day was first celebrated in 1970, with events demonstrating support for environmental protection. Now, 49 years later, we need to protect our environment more than ever. EMFs keep multiplying as society becomes technologically advanced, millions of tons of plastic are dumped into our oceans each year, and air pollution continues to be an immense hazard to the environment. If you’re as concerned about protecting the environment and yourself as we are, there are things you can do. Use reusable shopping bags instead of plastic, carpool whenever possible, and consider purchasing an Energy Harmonizer. All of our Energy Harmonizers appear to have the unique property of generating a harmonious field around them, cleaning up air pollution, encouraging plant growth, and raising consciousness. In fact, April 16-24, we are offering a FREE matching Personal Harmonizer with the purchase of any Agricultural Energy Harmonizer! The Agricultural Energy Harmonizers were created with the environment in mind. These larger size Harmonizers got their name from the intention originally placed behind the tool. Get a matching Personal Energy Harmonizer Free! The Personal Energy Harmonizers are a unique combination of the Light-Life Tensor Ring and the Acu-Vac Coil. 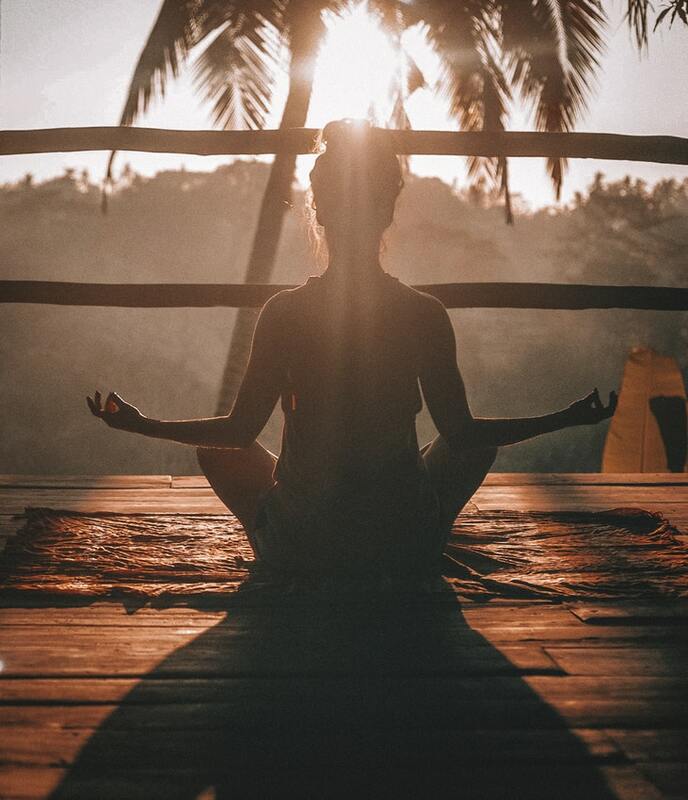 If you’re concerned about the environment and the effects of environmental pollution on you and your family, our Energy Harmonizers are a conscientious way to not only bring the environment into a state of harmony, but to create harmony in yourself as well! For more details about the Agricultural and Personal Energy Harmonizers, CLICK HERE. 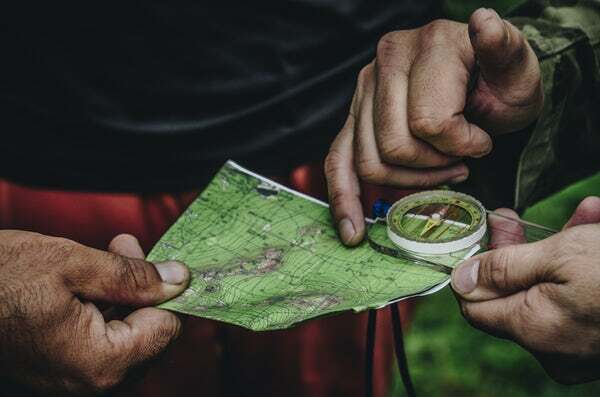 On April 6-7 we will be having our first workshop of the year, Geopathic Stress Reduction, Dowsing and the Applications of the Light-Life Tools, right here in Erie, Colorado. I cannot wait to share the experience with you in next month’s blog. Until then, if you’d like to read the testimonials from past participants, please CLICK HERE. I hope everyone has a beautiful April, and that you sow your seeds of harmony and light – remember, we reap what we sow! As the year comes to a close and I celebrate the holidays with my staff, friends and family – I am filled with joy and appreciation. These celebrations remind me to look back on the year and relish all of the things that we have to celebrate about 2018. I celebrate not only my life and accomplishments, but I celebrate you and yours as well. Without a wonderful staff, dedicated distributors and affiliates – and all of our customers around the world, we would not be where we are today. We are making a difference, each and every one of us. Whether it’s something that seems small like blocking geopathic stress from entering our home or big such as using a Washtub Harmonizer to assist with hurricanes or fires; together we are making a difference. I celebrate the changes that we are making in our lives, our bodies and our communities. During the remainder of this month I ask that you too celebrate. Bring joy, gratitude and laughter into your lives and into your homes. Celebrate both the good and not so good as they have both brought you to where you are in this minute. Allow the not so good to fade as you accept help from others and work with your tools to gain more peace in your life and build positive energy around you. Let’s celebrate that which is yet to come – 2019 is an open book that is yours to write. Begin setting your intentions now. Write your plans, hopes, and dreams down and look at them often. Put your intentions into your Harmonizers and Light-Life Rings as you use them. Know that as you put forth your wishes and intentions the universe will respond. Light-Life Tools are designed to assist you. They can help you reduce discomfort, get better sleep, alter energy from your surroundings and help you feel more peaceful. We celebrate you and wish you a Peaceful and Joyous Holiday Season and Happy New Year! I am new to the Light-Life Tools and heard about the use of the Acu-Vac Coil to do long distance work. Which coil would you recommend for that purpose and how exactly would you do it? I am very intrigued by the Light-Life Tools and look forward to learning more about them. When is your next workshop? Thank you so much for your email and inquiry. You can use any Acu-Vac Coil you have. Depending on what issue you’re addressing, you can lean a picture of the person or animal up against an object, put a Light-Life Ring around the picture (any 24K gold plated or Sterling Silver Light-Life Ring would work) and point the Acu-Vac Coil with the bead away from the picture on the area that needs work done. One of our new customers who just read in the book how to treat sprained ankles, got a call from a friend who lived about 600 miles away from her telling her that she sprained her ankle. Our customer asked her to send her a picture of her ankle. She left the picture on her mobile phone and put a Light-Life Ring around it with a Sacred Cubit Acu-Vac Coil and a Sacred Feedback Loop hooked on it as shown on the picture with the water glass. She left the phone in this configuration overnight. The next morning her friend called to tell her that the pain was almost gone and she could move her foot again. We have not done our workshop schedule for next year. If you don’t have the book In the Mind of a Master I highly recommend getting it. It is a great reference guide and also gives you transcripts of Slim’s talks. Please keep me posted on your results when you’re doing long distance work. Do you have any suggestions on which tools to use for migraines? A friend of mine is suffering quite a bit and I would like to help him. Please understand that I cannot give any medical advice, however, I can give you some ideas on which tools have helped people in the past. We can never guarantee that it works for everybody the same, simply because we don’t know the source. Some people have great results wearing our eye masks. One found out by accident that it brought him great relief and we shared this information and got reports from other people also with great results. I personally used to have migraines occasionally at our previous home. When I caught it right in the beginning by putting a Lost Cubit Sterling Silver over my head it stopped in its tracks. When I waited too long it didn’t work. One time we had a guest who used the Sacred Cubit Acu-Vac Coil and Feedback Loop in combination by hooking the Feedback Loop into the coil and scanned around my head. It took about 20 minutes and my migraine was gone. Please remember to also use your intention when working with the tools. It may give even faster results. Please let me know what you’re doing and how it is helping your friend. I would love to share your ideas and results. I do hope one of my suggestions brings him relief. Can I place a Light-Life Ring horizontal in the fridge to increase the lifespan of food? Does the Ring have to be placed in the middle of the fridge or is it better in the upper or bottom shelf? If you would put it an inch above the fridge, would it still have an impact on the food in the fridge? Which Light-Life Ring would you recommend to increase the durability of the food? Thank you so much for taking the time to answer my questions. I look forward to hearing from you. Thank you so much for your questions. I have a 3 ½ Sacred Cubit Light-Life Ring on my fridge in my home in Colorado. It’s been amazing. My produce seems to keep forever. Even a bottle of organic milk stayed fresh for over five months after its expiration date. I will try to put a ring in the fridge of my office in Germany as I have no access to the top. The field of the Light-Life Rings seems to go infinitely in both directions. You can also put a Light-Life Ring around your fruit bowl on your counter top and observe how much longer your fruit will stay fresh. I hope this helps. Try it and let me know how it works for you. In the spirit of Thanksgiving, I am setting my intention for November on Gratitude. If you’re not celebrating Thanksgiving, I would still like to invite you to focus on everything in your life you are grateful for. It can be little things like the sun shining or snow falling or a kid laughing or the car starting on an icy morning, the train being on time… I think you get the picture! I have so much in my life to be grateful for year round, but want to express my sincerest gratitude to you now for being part of our Light-Life community. If you are new to our community let me tell you how the Light-Life Tools can improve your life and help our planet. The Light-Life Rings can be placed anywhere on your body where you feel discomfort, they are used for energizing water and food; they are even used to transform hail clouds into rain. They seem to bring more light to anything that comes into their tensor field. The Acu-Vac Coils are designed and reported to remove unpleasant energies from areas when held with the bead away, and bring light to it when the bead is pointed towards it. The Harmonizers are a combination of the Light-Life Rings and an Acu-Vac Coil and generate a toroidal light-field that is visible to the clairvoyant’s eyes only. You have to imagine it as moving energy field that brings everything in its field into motion. They are used for reducing air pollution, encouraging plant growth, improving health and well-being and much more. 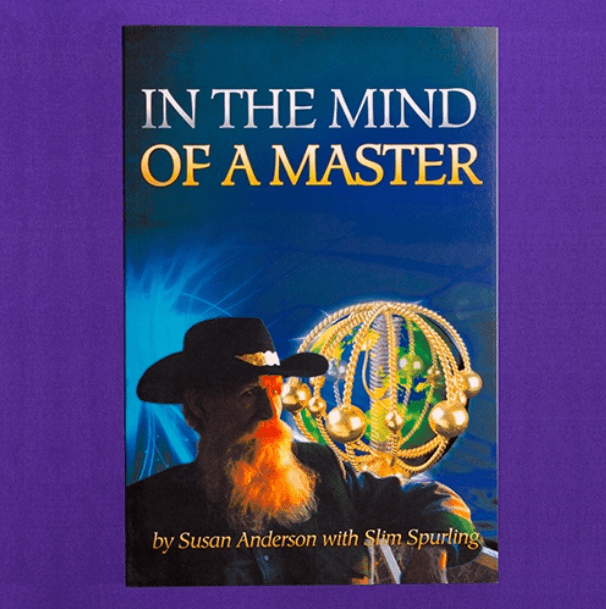 Our book In the Mind of a Master would be a great guide for you to learn more and/or refresh your memory on how to use a tool that you bought many moons ago. You may not even have one of our amazing tools yet, but now is the time to get one. We have our last great sale of the year coming up and you don’t want to miss it! It is with much love and gratitude that we are offering a limited time Black Friday and Cyber Monday Sale to everyone on ALL of our Light-Life Tools. If you have been thinking about investing in better health and environmental harmony now is the time to do it. You can get a Light-Life Ring for your faucet to enhance your drinking water. Or how about an Agricultural Harmonizer to reduce air pollution and help crops grows. Maybe a Personal Harmonizer has been on your wish list. Whatever the tool, it is on sale (I’ll give you all of the details in a moment.). In case you aren’t sure what tool to use or why, I will give you a little insight as I am happy to share my love of these with you. Slim started designing the rings and shortly after, began making them in a variety of sizes. He did this so that people could use the rings for different purposes. Some people needed a large ring to place around a large printer or to use to clear energies around a person. Some people want a smaller ring that they could put on their arm or around their glass of water to potentize it. Then there is a ring that fits perfectly over your head to wear around your neck. All of the rings serve to bring in positive energy and can be used for any of these purposes. It is sometimes easier to use a smaller ring or a bigger ring depending on what you want to do with it. 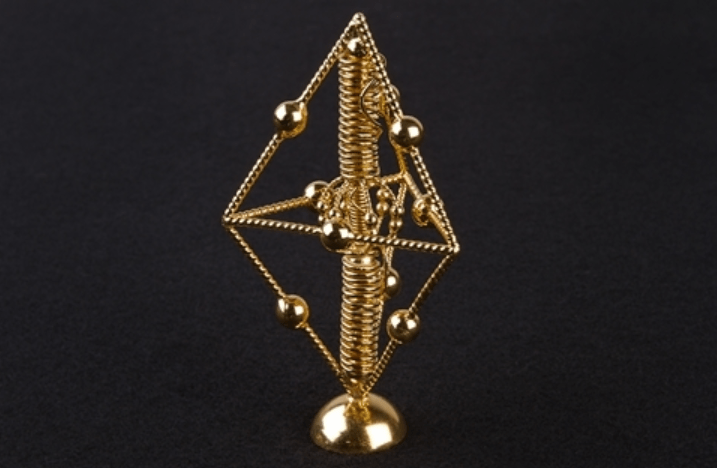 The Harmonizers also come in Silver or Gold Plated and the larger the Harmonizer the greater distance the energy flows. Harmonizers, Agricultural, Environmental and Personal are a perfect tool for your home, your land and the self. In one of my previous newsletters I suggested to do a gratitude journal and write down every day three things you’re grateful for before you go to bed and/or also in the morning to start your day. I have done that for many years and it’s been very helpful for me especially when times were tough – and I had my fair share of those as well. My gratitude goes to my employees in the shop who excel in making highest quality of products, to my customers service team and strives in giving you the best customer service experience and support you in finding the right Light-Life Tools for your needs. I am also grateful for my marketing team that makes sure we get the correct information out to you and so can make an educated choice. I am very grateful for you, our loyal customers, who understand the value of the original Slim Spurling Light-Life Tools and for improving your life as well as that of your loved ones and the environment. And of course I am especially grateful for Slim and all of his dedicated research to find ways to better our lives and our planet. I am grateful to have shared in his zest for life and immense caring and I am grateful for the ability to share these wonderful gifts with you in the hope that you live a life filled with joy and peace. I am especially grateful for the Feedback Loop and Acu-Vac Coils. These tools have helped me tremendously with physical discomfort, healing from an injury and creating super potentized water. These tools were designed to help remove negative energy. They are slightly different in their design as the Feedback Loop draws out negative energy, and then feed it back into the body as positive energy. “The Light-Life Acu-Vac Coil was developed from the principle of the Light-Life Ring. It is also a superconductor, differing in the fact that the one-way energy flow is selectively directed along the axis of the coil. 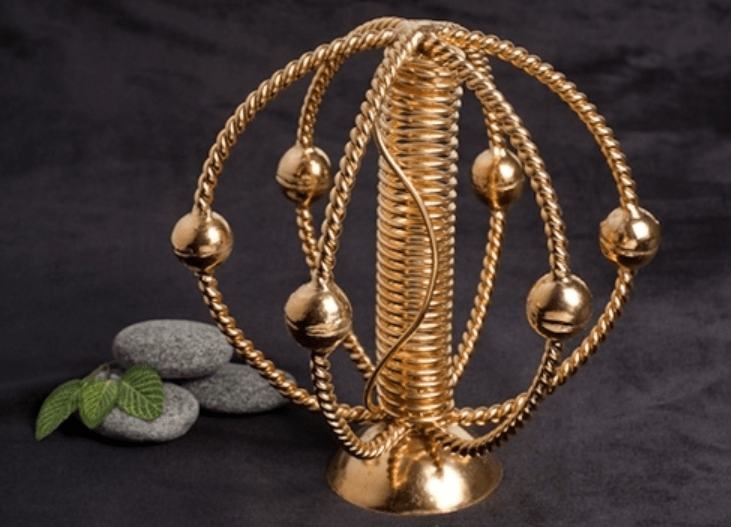 The energy causing discomfort in the body (or in a situation) is drawn through the coil and converted to helpful energy benefiting your environment when it leaves the coil. The drawing in, or suction end, is furthest from the bead. In a sense, the coil acts as a vacuum cleaner for the discomforting energies. This has been verified with scientific research. The further away the coil is from your body, the stronger the effect seems to be. 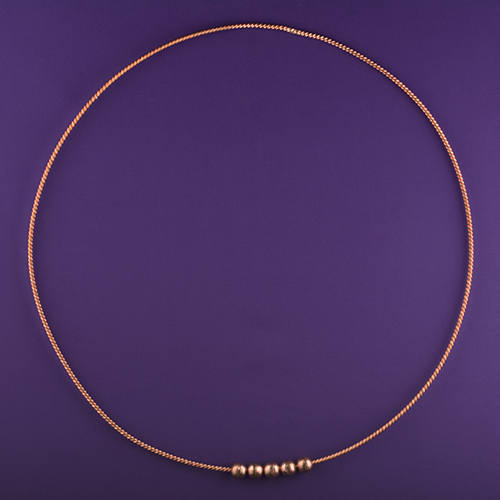 After pulling out unwanted energy, at the end of the session, you want to turn the coil and point with the bead to the area you have been working on to fill with light energy. You can also use the Acu-Vac Coil for long distance healing by using a picture of the person that needs assistance.” – www.lightlifetools.com. Please feel free to contact us with any questions you may have. We are happy to help you in making and educated choice. I have just taken another look at the website, and the ix-el instagram, and remembered the properties of the silver plated Harmonizer, as the reason I purchased the Harmonizer for my sister, is because she has a neighbor whom by the sounds of it is rather difficult/disturbed etc. Would the Gold plated Sacred Cubit be appropriate/have the potential to work on the Emotional frequencies? All Harmonizers work with frequencies, however, we found that the silver plated Lost Cubit Environmental and Personal Harmonizer work the best when it comes to emotional/mental issues. Having said that, if you happen to have a gold plated one you can hold it in your hands, focus on the situation and put your intention in there that the situation is resolved. A friend of mine in Germany had miracles happen with difficult neighbors once she activated the Lost Cubit silver plated Environmental Harmonizer. Wishing your sister best of luck with harmonizing her environment. I love the tools and enjoy their energy. I am curious as to where they are made? Thank you so much for your question. All our Tools are handcrafted by our metalsmiths at our facility here in Colorado. I am glad you are enjoying their energy because only the best goes into them. I live in a community where all homes have tile roofs which are highly susceptible to mold and algae buildup and require frequent cleaning. All homes are within 1 mile from me. Would one of the Harmonizers help to either, clean and/or slow down or prevent this buildup? If so, which now would you recommend? I am retired and would like the lowest cost one that would be effective. Thank you for your question. We received reports from customers who used the Sacred Cubit Environmental Harmonizer 24K gold plated very successfully to eliminate mold. They reported also that it took care of some algae build- up on water. One of our customers in Spain was running an Agricultural Harmonizer, 24 hours/day to clean up mold in the cellar of their castle. Either can help you; however, the Agricultural Harmonizer is more expensive. Please remember that you can always program your Harmonizer with your intentions. I am new to your website and very attracted to the Harmonizers. It is just overwhelming to know which one to choose. Can you give me some guidance please? When you want to influence something visible like air pollution, plant growth, tornadoes and hurricanes, a gold plated Environmental or Agricultural Harmonizer is your best choice, i.e. the Sacred Cubit Harmonizer for air pollution, tornadoes and hurricanes or the Lost Cubit Harmonizer for plant growth, cleaning water and soil. When you are dealing with invisible issues, things like emotions, mental overload, EMF, radiation then you want to choose a silver plated harmonizer, i.e. the Sacred Cubit Harmonizer for EMF, Hartmann Grid and geopathic stress or the Lost Cubit Harmonizer for emotional and mental issues. When it comes to radiation, the Matrix 22 Harmonizer is said to help. Once you purchase a harmonizer you can use it for the issues listed above or you have the ability to program your harmonizer for your specific needs. For example if you buy a silver plated Sacred Cubit Harmonizer for EMF but a tornado is in your area, you can program your Harmonizer by holding it between your hands and ask it to support you in a special situation. Your silver plated harmonizer may help you with a tornado warning and a gold plated harmonizer may help with emotional issues. 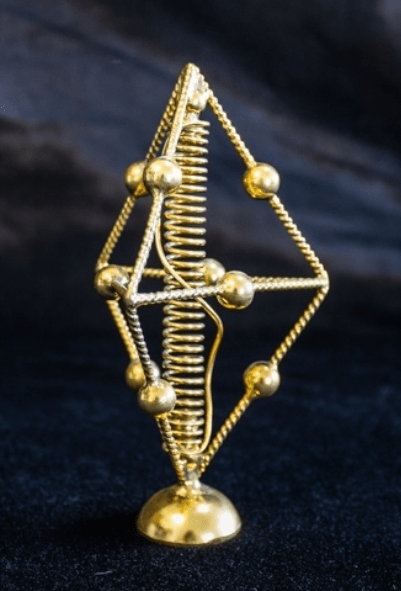 If you are looking for a Personal Harmonizer the Unity and Synergy in silver plating are said to protect from the negative effects of EMF as well. I hope this helps. You can also go on our Youtube channel and look for a video where I show how to program a Harmonizer. Please feel free to call my office at 303.833.9033 if you have more questions. I hope you get to take advantage of our sale, which goes through July 5th, 2018. My friend has prostate cancer and is starting chemo/radiation soon. Can you recommend any tools to support him in his process? He knows a bit about the Light-Life Tools and is open to try something. Thank you so much for your email. Of course you know I cannot give any medical advice or make any claims, but I do have an example of how my lawyer used the Light-Life Tools and how he said that they helped him. My lawyer had prostate cancer. When he told me about it I asked him if he would be interested in trying some of the tools, and he was. I recommended to sit on a 2 heavy Sacred Cubit Light-Life Ring gold plated in his office, in the car and at home. I also gave him a ½ Sacred Cubit Light-Life Ring with three beads to put in his left pants pocket. He did as I recommended and reported that he went through chemo/radiation without any negative side affects, no nausea, no hair loss or anything else that apparently was supposed to happen. Again, this was the experience of one person and I cannot guarantee that your friend would have the same results. Therapies have changed over the last 15 years and each person reacts differently to both the medication and to the tools. I wish your friend all the best in his healing journey. Please let me know what you’re choosing to do. I’m the mom of two football players, 14 and 16 years old. They usually come home after training and are extremely sore. Do you have any recommendations as what I could use to help them find relief faster? I hate to see my boys suffer. What comes to mind right away are our Acu-Vac Coils. I actually had a friend whose boys were also playing football. She used the Sacred Cubit Acu-Vac Coil and reported it took about 20 minutes for the boys to be relieved of most of their aches and pains. When Slim started making the Acu-Vac Coils in the Lost Cubit measurement we gave her one to test and she was blown away. She came back to us with a smile all over her face telling us that this one only took 5-8 minutes for the boys to feel relief. She also took it with her to their games to help her boys when they got hurt. She invited me to one of their games so I could watch her in action. Amazing! To decide between the two, my dear, it is basically a matter of budget and use. Slim always had the Sacred Cubit Acu-Vac Coil in his pocket; it is not as heavy as the Lost Cubit Acu-Vac Coil and does a nice job. If you were using it mostly at home I would go with the Lost Cubit Acu-Vac Coil because it seems to work faster. As far as budget, we are having our biggest sales until July 5, 2018. I hope this helps and your boys will soon enjoy the magic mom has to offer. The Storm Chaser came about as a result of my concern for the increasing levels of pollution, which exacerbates the natural tendency of tornadoes and hurricanes to wreak havoc. Hurricanes start off the coast of Africa as a result of the massive density of positively charged dust particles which blow off the west coast (the Skeleton Coast) during periodic sand storms in the summer months. These positively charged ions have a counterclockwise spin – or a negative spin. Anything with a positive charge and a negative spin is destructive to life. These charged ions tend to drag the atmosphere into a massive counterclockwise rotation which, depending on the density of the charge and duration of the sandstorm, may develop into a tropical storm and then a hurricane. As the cyclonic rotation persists, it draws in (+) charges from different levels of the atmosphere consisting of any or all of the listed air pollutants: CO2, SO2, NOX, hydrocarbons (all toxic materials have a (+) charge). 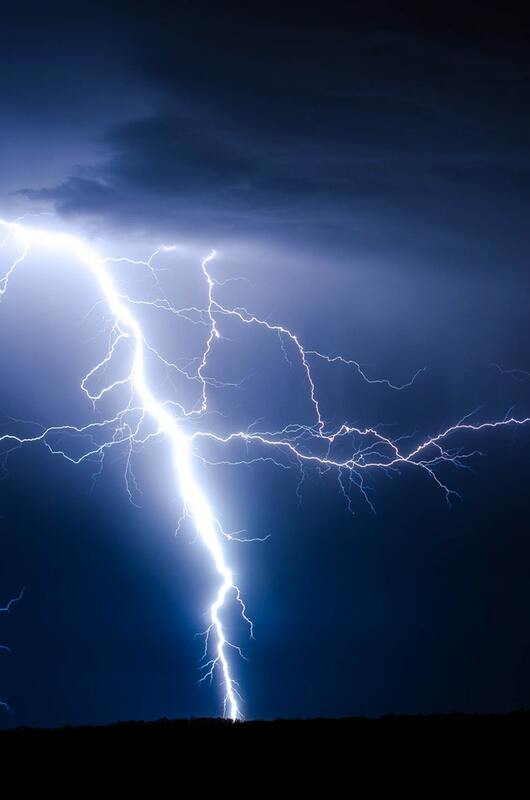 As we have all seen on the weather channel, these storms pull in clouds and atmospheric components from hundreds of thousands of cubic miles of atmosphere. As the density of the toxins increase and (+) charges accumulate near the center, the force behind the storm rotation increases. Based on my personal observation of atmospheric pollution in the Caribbean during a couple of flights over the area, it is far and away more polluted than any comparable area I have seen in the past 10 years, with the exception of Belgium on my first flight over that country in ‘97. So we can see that these storms initiated off the coast of Africa rapidly increase in strength in the Caribbean and Gulf as they pull in polluted air from the populated mainland. These huge storms are now appearing in the southern hemisphere; witness the recent one in Australia called Larry (2006) and the first ever storm off Brazil last year (2005). This is attributed to the increasing pollution and resultant drought conditions in that hemisphere. The impact of treaties related to globalization speaks to the issues of industrialization and the increasing use of petroleum fuels in the less developed world, as well. Having a clear grasp of what lies behind the upsurge of violent weather that is wreaking so much havoc all over the globe, I decided to develop a Harmonizer that can cover large volumes of atmosphere. While the effects of my Environmental and Agricultural Harmonizers have been well demonstrated and proven over and over again, their field radius is not big enough to handle storms of this magnitude. 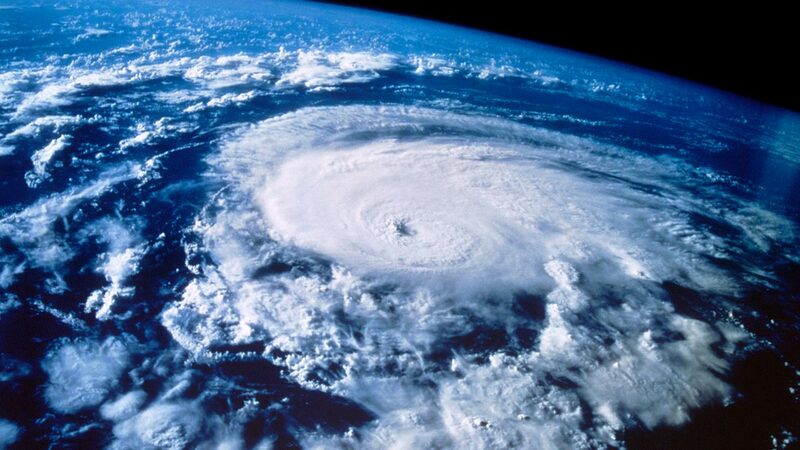 In order to cover the amount of atmosphere that feeds these “super hurricanes”, I had to invent a larger unit. This is what led to the creation of the Storm Chaser in 2004. To give you an idea of what the Storm Chasers are capable of, it might help you to know that right after the Katrina disaster (2005) I sent the first units to Florida where they were installed in Pensacola, Sarasota and Vero Beach. The next unit was sent to a site near Galveston, Texas, about 200 miles inland. Predicted to be heading toward the middle of the Florida coast, Hurricane Wilma (2005) got diverted by the Storm Chaser manned by Anthony Cowan in Sarasota. That storm hit the Keys briefly. It then scooted out to sea and took a sudden northeastern path. Deprived of its negative ionic charge over the cooler Atlantic, Wilma dissipated rapidly, due to the high numbers of different sized Harmonizers maintained by people in our network up and down the Eastern seaboard. Hurricane Rita (2005) was predicted to hit Galveston and inexplicably shifted to a Northeastern course, heading toward Houston instead. When it got to Houston, the eye of that storm ran into the 65-mile wall of energy produced by the dozen active Agricultural Harmonizers manned by the people in Sandee Mac’s network. Rita lost her steam and collapsed suddenly a few miles out to sea. If you don’t have a copy of In The Mind of a Master, I highly recommend that you pick one up as you continue to heal and grow using the Light-Life Tools. It contains fabulous testimonials and information such as this, directly from Slim from one of his workshops, that can help explain how and why each tool was invented. When you hear of a hurricane threat, I ask all of you to put your Harmonizers on a map of the area in the world that is affected by a tropical storm. While having a Storm Chaser is ideal, I truly understand that it doesn’t fit everyone’s budget. There are so many Harmonizers available! We’ve found that the Sacred Cubit Harmonizers seem to be the best at potentially diverting storms, however all of them will work. Remember to put your intention in and they work even better.. After you’ve placed your Harmonizer on the map, put a ring around the area you want to affect, turn on the Environmental Clearing CD (or download the mp3 file) and put headphones around the Harmonizer. This frequency was created by Slim to clean the air and seems to work best for diverting tornadoes and hurricanes. If you or a loved one lives in an area that is currently being affected by a storm please do not hesitate to notify us. We often send emails alerting our worldwide community of the situation and it’s so powerful to watch everyone band together in solidarity. Together we truly make a difference! Lastly, when setting your intention as you activate the Harmonizer ask for collapsing hurricanes so no one else gets hurt. Wishing you all a very enjoyable summer that is free of natural disasters and hurricanes! Those of you who receive our newsletter (sign-up here) know that I’ve set my intention this month towards cherishing those we love the most – whether that’s mom for Mother’s Day, your recent grad for graduation or perhaps even taking a moment to cherish yourself. This sentiment also gave rise to another thought: What if we take time to cherish the moment? Have you thought of getting together with a group of people who own Light-Life Tools and work on/with each other? If you have Harmonizers you can put your intentions in there. I think it’s a very powerful and healing activity to gather together and set an intention. What would your collective celebrate? Harmony? Peace? Love? Acceptance? I think this is a wonderful example of truly cherishing the moment and those you love by gathering together for a common goal. I was listening to Archangel Haniel this Saturday and she said (like others before), that when three of us get together and set our intentions towards a goal we can achieve anything. Wouldn’t it be better to focus on what we want instead of being upset about all the things we see in the world and don’t like? Another way to be present and “live in the now” is to practice meditation. I heard a spiritual advisor joke recently that if meditation came in a pill form everyone would be taking it! I think in this age of technology, it’s so hard for us to unwind from our phones or laptops and take time to do absolutely nothing. Meditation is needed more than ever in our lives to help us balance and return to center. What does your practice look like? Even two minutes a day is said to have tremendous health benefits. I like to take time each morning to write my intentions for the day down, sip a cup of hot water and do my meditation and prayers. I have a box as headboard which is hiding my 3 ½ Sacred and Lost Cubit heavy rings. Sitting in my bed I’m in a light tunnel created by the rings. This energy seems to add an even deeper relaxation to my meditation. Cherishing the moment and being present may not be easy at first. It takes, like everything else, practice and support. Even when I’m traveling I have found a way to follow my routine. I have some guided meditations on my cell phone and I listen to them when I’m on a plane. I also have my prayers on my cell phone and my mantras, so when I’m traveling I am can continue my practice. I would love to know what you’re doing to stay on track and what helps you with your meditations? Please share them below or on our Facebook page. I know I’d be grateful for the tips, but more importantly we need to share our best practices with one another. Lastly, cherishing the moment doesn’t need to be planned. All of us at one point have experienced those deep belly laughs with friends that have us doubled over with amusement. Have you ever noticed that in those moments all your worries and cares seem to slip away? While cherishing the moment is a nice sentiment, I suggest that you cherish what brings you the most joy. When was the last time you chatted with your best friend on the phone? Done a simple, silly activity like mini-golf that brought you back to joyful childhood moments? Meditation can assist us in letting go and joy seems to bring us back to the flow of the positive energy of our universe in nanoseconds. I encourage all of you to put down your phones for a few hours and find joy in the simple things. Just being out in nature brings me a lot of joy. It brings my soul so much peace and serenity. Let’s take time this month to cherish all that we hold dear together. Gratitude is such a powerful tool and for everything we cherish that energy seems to grow and expand. When I talk about the Pyramid Unit, it’s impossible not to immediately associate it with the solar plexus, or your third chakra. The pyramid unit is comprised of two tetrahedrons, a well known shape in sacred geometry that is almost always associated with this energy field in the body. The solar plexus, or manipura in Sanskrit, is located right above the navel. I’m no expert, but I have a strong suspicion that the phrase “she’s got guts” was derived because of the solar plexus’ location in the body. 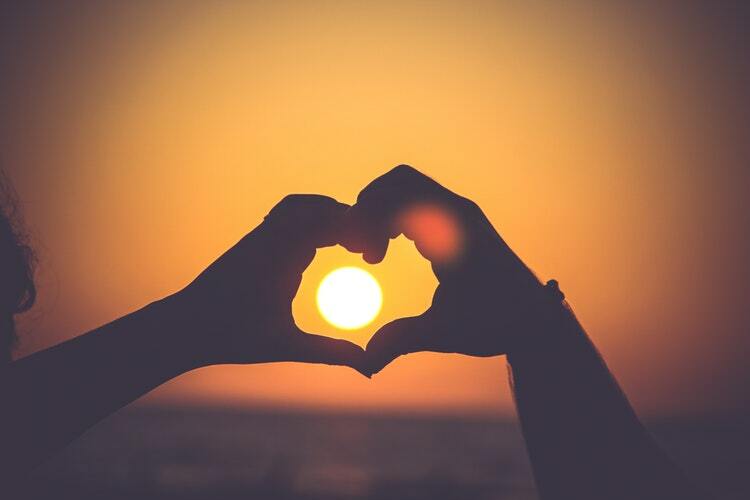 Why should you care about your solar plexus? What significance does it have for you? 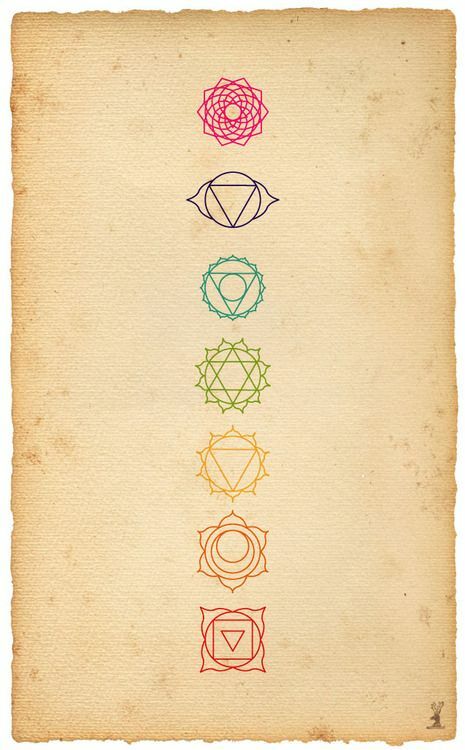 Well essentially the chakras are wheels of energy that align vertically along the mid-line of the body. Among other things, they allow energy to flow from one area to another. When your chi, or life force energy, is blocked in any of these areas it can cause harm without us even realizing it until symptoms start appearing. 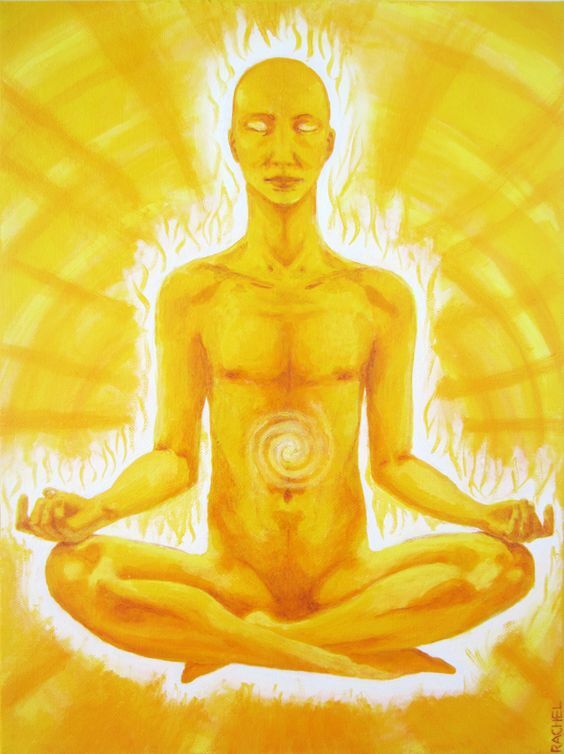 The solar plexus is associated with the color yellow as well as the element of fire. This important energy point gives you the ability to rise to the occasion in times of need and difficulty, or anytime you are challenged. 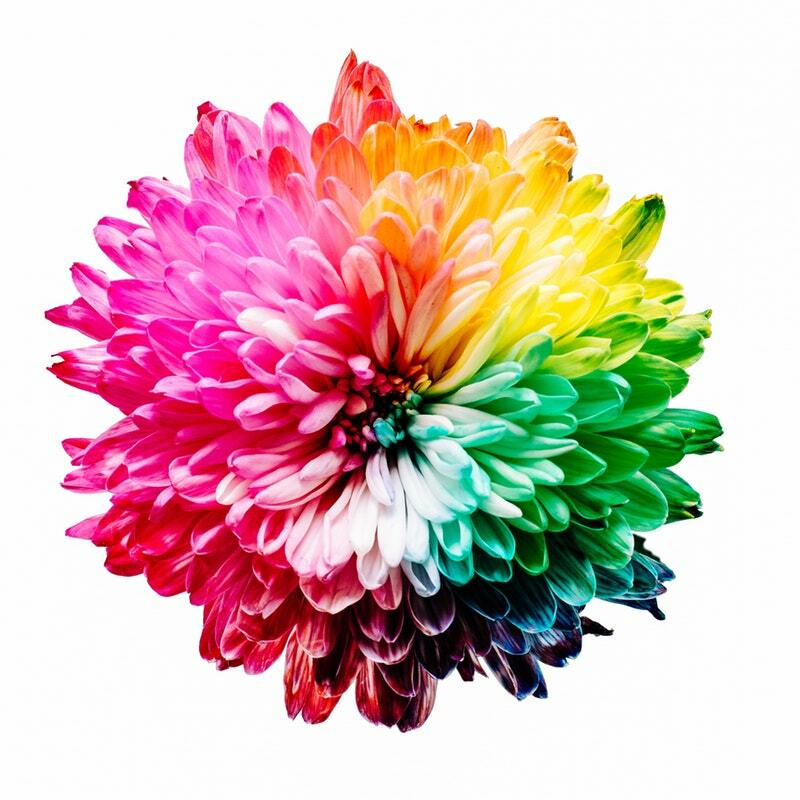 This chakra speaks to creativity, personality, intellect and ego and gives you increased awareness and clarity of thought, along with great curiosity. When blocked or unbalanced, ego can quickly run awry. All of us are perfectly imperfect and we wouldn’t be human if our chakras didn’t get out whack. You can easily tell when your solar plexus is weakened, when you find your self-esteem in the gutter or you’re playing the victim. Your solar plexus is also off when you move far too much in the other direction and you become selfish or manipulative in order to fulfill your need to get ahead. As in most everything in life, a balanced solar plexus is key. I think of someone with a balanced solar plexus as a natural leader. 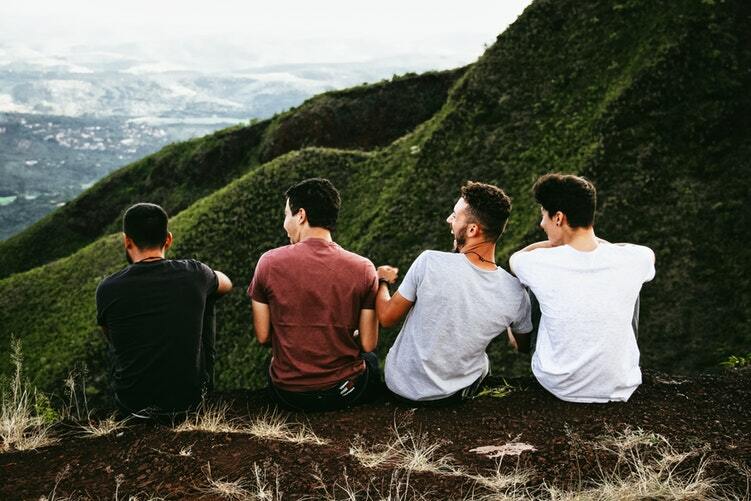 They have the ability to make thoughtful decisions, move forward with projects taking all ideas into consideration, have a healthy self-esteem (read: NOT cockiness) and applaud other’s successes. They do not need to boast of their accomplishments. I like to say that someone who has energy flowing freely through their solar plexus is one who is sitting in their own power. This energetic focal point is associated with inner fire and warrior power. Used mindfully when in balance, there’s nothing in your way! The Pyramid Unit may assist to realign and harmonize your energetic matrix that goes throughout your entire energy field body and through the mental and emotional bodies as well. 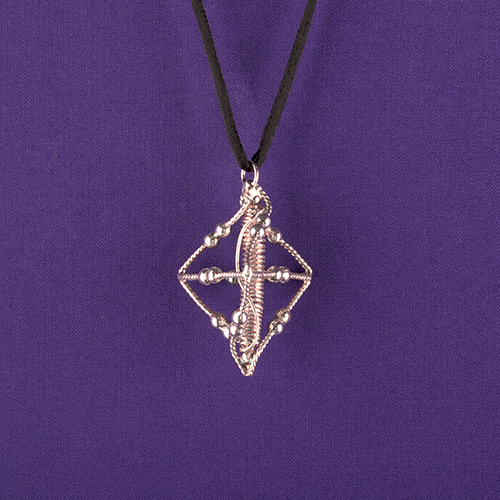 It assists in re-establishing harmonious configuration so that you are flowing with your energies on all levels. The standard one without a Harmonizer may bring in the same power as all of the 16 core crystals together. So you are mimicking with this pyramid the same energies that are vibrating through the earth. As a result of this, it assists to raise your vibrations, to raise your light back into awareness, raise greater harmony physically, mentally and emotionally, raising you back into the light and the truth of who you are and assists you throughout your entire spiritual journey as well as simply the journey of your life so that you’re pulsating with radiant light to raise the vibration not only of yourself, but wherever you go. The one with a Sacred Cubit Personal Harmonizer in the middle may allow you to bring back remembering essence of who you are and help you to let go of what is not to your highest good. It would be wonderful around children. The one with a Lost Cubit Personal Harmonizer in the middle may be beautiful for a person to come completely neutral, people be silent inside, still in the moment, what begins to come back up is a childlike joy. A person sitting next to it does not seem to have a story. I see this working like a spa, it is beautiful, strong and may assist you with your own physical healing, may bring you in healing and harmony. It may also help you to have a closer relationship with the divine. The one with the Harmonizer may also help promote love energy in spiritual environment. I see it as a spiritual and physical connector that brings in our light energy and allows DNA to shift in man. It may assist in re-establishing harmonious configuration so that energy flows smoothly on all levels. It can be placed next to one’s bed while they sleep to provide a clearing energy throughout the resting period and it may also help with cleaning the environment from pollution as well old history. 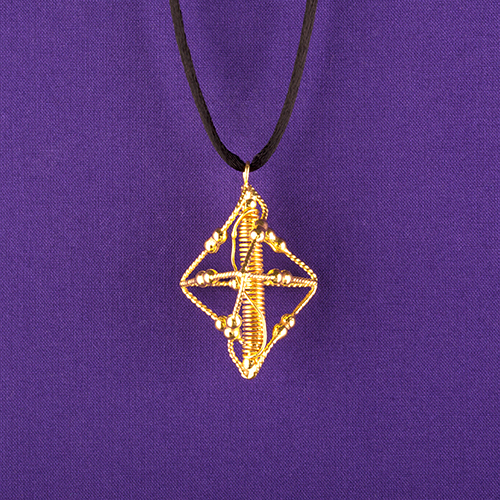 Do you own a Pyramid Unit or a Pyramid Pendant? If so, I’d love to hear from you. Have you noticed a difference with your solar plexus? Life in general? What has changed? I absolutely adore this tool and I hope it brings you just as much joy as it’s brought to my life. Something to note: this tool wants its own place and doesn’t like to be moved around a lot. I have several of the units around my office as well as my home to keep my ego in harmony so I can move forward clearly, respectfully and can keep Slim’s legend moving forward with positive energy. Thank you so much for joining me on this journey! Although I love the snow, I notice the cloudy, overcast sky affects my mood. I’ve done some research on this and apparently I’m not alone! It’s been classified as a condition called SAD (Seasonal Affective Disorder). My doctor has recommended some medication as well as light therapy. Do you have any tools that can help lift your spirits? While I’m not completely opposed to taking medication, I’d love to understand what holistic options are available to me. I totally understand your predicament. I travel quite often to Germany to visit our European office. One of the biggest challenges there for me is the weather. I’m spoiled with the abundance of sunny days in Colorado, so the overcast sky for weeks at a time can affect my mood even though I’m usually a happy person. This is when I change from my most favorite Tibetan Pendant to our Unity Personal Harmonizer, sometimes the mini version, sometimes the standard. It seems to cover the mood as well as some physical issues I may be dealing with. 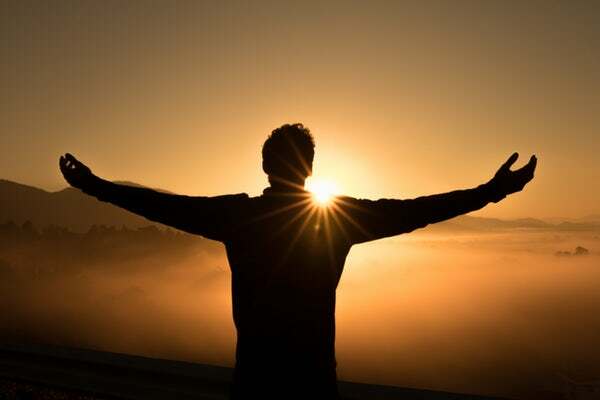 Additionally, we have many testimonials from our customers of our Lost Cubit Light-Life Personal Harmonizer helping shift their mood in a positive direction. Please try one of these pendants out and let me know how it works out! Recently I burned my hand severely. While it’s starting to heal, my hand throbs quite a bit. Do you have a tool you could recommend that could help me with the pain? I’m so sorry to hear about your burn! They are not an easy wound to attend to, as can be attested by any doctor. Much of the healing process is encouraging your skin to rebuild and repair. 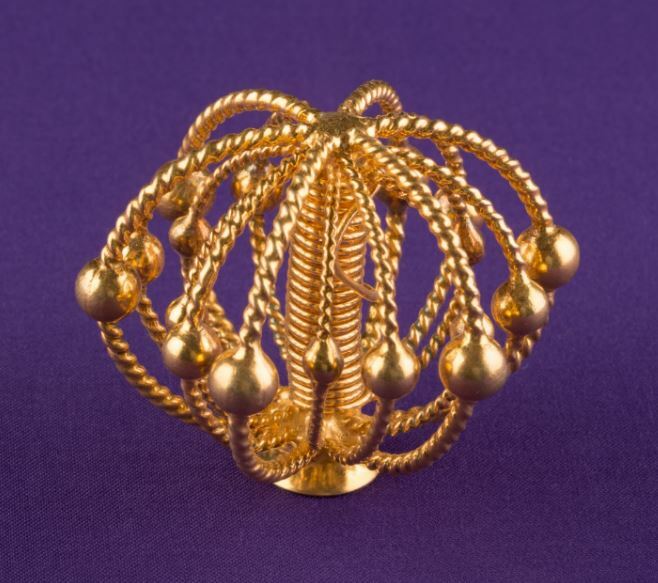 My suggestion to you is to put a ½ Sacred Cubit Light-Life Ring, gold plated with three beads around your wrist and in addition to that, try our Sacred Cubit Acu-Vac Coil. People have been using this one very successfully in relieving discomfort after burning their hand. The coil acts like a vacuum cleaner. 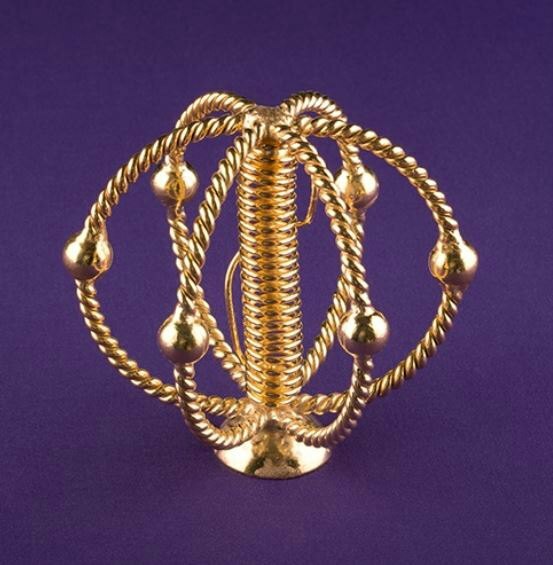 It is said to pull out negative energy from the place of discomfort by pointing the bead away from the body and circling the coil in a clockwise motion. Much like a true vacuum cleaner, the suction creates a bit of a void which can be filled with positive energy afterwards by flipping the coil so the bead points at the area of concern. I have a wonderful video explaining this process in more detail. Personally, I believe this tool should be in everyone’s first aid kit. Its applications are endless and only limited by your mind. You could also try to use our Sacred Cubit Feedback Loop which works exactly as our Acu-Vac Coil, however this one loops back around replacing the negative energy with positive flow continuously. Hoping these tools help you to have a speedy recovery! I absolutely LOVE Thanksgiving. It’s my favorite holiday of the year and I go all out making my family’s favorite recipes. I start prepping two days in advance. While I definitely wouldn’t change a thing, do you have any tool that might help with digestion? I love all the rich sides such as mashed potatoes and stuffing, but my stomach isn’t as thankful. I love Thanksgiving as well! I was lucky enough to celebrate Thanksgiving a bit early this year with my team and we had quite the feast! It’s such a wonderful time of year. I also understand your stomach troubles as it’s hard not to indulge in all of your favorite foods. After eating, I would recommend taking it easy and putting The Seed of Life over your stomach area. This tool was given to a friend a long time ago to help her with her mother with chronic digestion issues and she was amazed at the results. I hope it proves to have the same affect on you! You can also try using the Acu-Vac Coil over the area of discomfort. You can even try using the coil over your food before eating. It may take out ingredients that are not the most beneficial for you. You’ll hear me talking about it more in the coming weeks as I truly believe the Acu-Vac Coil is one of the best investments you can make to add to your first aid kit. It was one of Slim’s favorite tools! Hope this recommendation has your stomach feeling much better so you can put your attention back where it belongs – on family and friends.